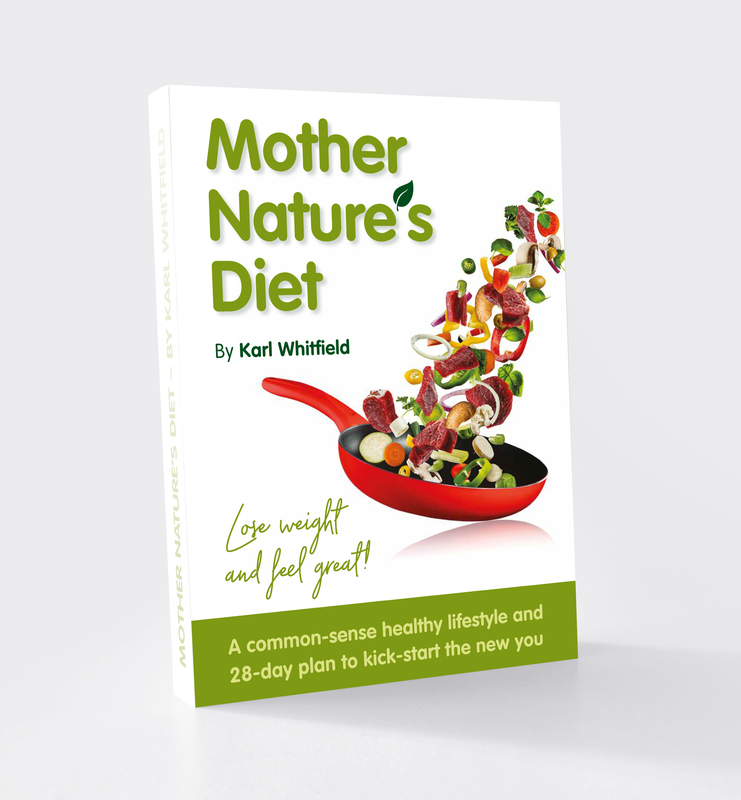 Living MotherNaturesDiet in practice – results in the real world! Wow, this evening I am mega impressed – a lovely lady just emailed me to say she has been following MND strictly for the last month and she has lost 1 stone 6.5 pounds in a month! She feels better, people keep telling her that she looks great, and she is not feeling ‘in denial’ at all. Exercising the 90/10 rule, she has a ‘treat’ once per week, and she is doing great! I picked up some yummy veggies at the farm shop this week and just had to take a picture of all the gorgeous green and purple goodness. This picture shows a huge delicious savoy cabbage, purple cauliflower (yummy, sweet tasting, and in my opinion tastes like a sweet cross between broccoli and white cauliflower…yum! ), purple kale, leeks and black kale (cavolo nero, also yummy!). I cooked half this lot for lunch and served it up with slow-roasted lamb and my 3 kids just looked at me like they were saying “Dad, why do you do this to us…?” but with some considerable encouragement from my wife and I, they all ate it. Man flu: the deadly strain women don’t understand! This week I just wanted to share with you an observation that I have recently cleared up in my own mind. It’s actually really simple and obvious stuff, and I should imagine a lot of clean-living healthy people already know this, or at least they will read this and instantly agree and see that it is all really quite obvious, and most unhealthy people will disagree, call me names and declare that I have no idea what I am writing about. Such is life. When I was 17, or 18, 19 or 20...and probably up to my early 30’s, I hated catching a cold. Coughs and colds are murder to a smoker, or at least they certainly were to me. For one, as a smoker, your throat is under attack every day because of your smoking, so when it is sore and inflamed with coughs and colds, it is far more sore and dry and painful than the throat of the average non-smoker who has a cough or a cold. Secondly, if the painful throat is bad enough, it will actually stop you from smoking, or at least reduce you down to just a few quick puffs per day – and that is really guaranteed to ruin your day! Few things make you grumpier than being a smoker who can’t smoke!! So during the many years I smoked, but particularly when I was young, very overweight, very out of shape and a really heavy smoker, I would catch coughs and colds several times each year and I hated them, they were a real misery.